In a little less than five months, Russia considerably upped the ante and tripled their gold hoard. Is their stockpile purely political? Read further to find out what this will mean for the future of the shiny metal. This week, Your News to Know brings you the latest news about the gold market and the overall economy. Stories this week include: Russia adds 30.5 tons of gold to its reserves, Fed comments restore gold’s safe-haven appeal, and Miami fencing case could help solve mystery of gold heist. Russia not only continues to substantially increase its gold reserves, but in fact appears to be accelerating, according to Market Pulse’s recap of a Bloomberg report. The nation added 42.4 million ounces in August from 41.4 million ounces in July. The increase is the highest since the 30.5 tons added in March, which themselves marked a six-month high. Russia keeps buying bullion in spite of international sanctions over the conflict in Ukraine and a plunge in oil prices, both of which crippled the country’s economy. 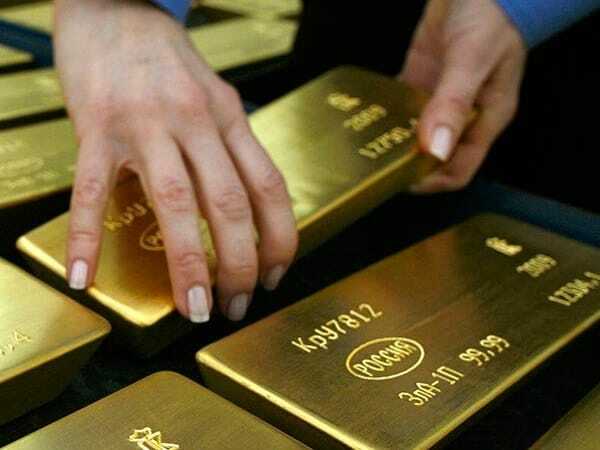 Having tripled their reserves since 2005, they are now the sixth-biggest holder of the metal in the world and own the largest reserves since at least 1993. Over the past year, gold priced in rubles jumped 60 percent. On Thursday, the Fed announced it would keep interest rates steady for the time being, sparking a jump in gold prices. As seen on the Wall Street Journal, Friday’s gold price of $1,137 per ounce is the highest in over two weeks, and a 1.9 percent overall gain. More than just spiking the price, the Fed’s comments helped reinstate gold’s appeal as a safe-haven asset. The delayed hike brought about concerns regarding slow global growth, which could hurt the economy namely through reduced interest in U.S. exports. While stocks and other commodities sold off, the yellow metal held its footing and appeared to benefit primarily from the weakening of the U.S. dollar against other currencies. Other precious metals enjoyed similar, if less significant, gains in the wake of the Fed’s decision. Silver rose 1.2 percent to its highest levels since August, while platinum and palladium gained 1.6 and 1.9 percent, respectively. A daring nighttime robbery of a gold-carrying armored truck in North Carolina has been a mystery so far, but new developments might help the FBI solve the case and retrieve the stolen bullion. In March, three Spanish-speaking thieves intercepted a TransValue truck loaded with 275 pounds of bullion, worth $5 million. They tied the guards up and left them in a nearby forest before loading their van with stolen property and fleeing the scene. The authorities had little in terms of leads until a man named Miguel Bover approached a Miami pawn shop broker in April, asking him to sell one of the ten stolen gold bars to a local refinery. The broker tried selling the bar to another refinery called NTR Metals, but was turned down because it lacked proper documentation on top of being too large and valuable, being priced at around $500,000. Unfortunately for the robbers, one of the workers in the refinery was an off-duty policeman who contacted the FBI and informed them of the suspicious gold bar. When the pawn broker returned with a crudely separated piece of the bar, the FBI seized him and learned about Bover, a Cuban national with a criminal record. After searching the broker’s home, they found the remainder of the gold bar, which bore the seal of Republic Metals, the victim of the heist and one of the largest precious-metals refineries in the world. Bover, who was sentenced to three to four years for attempted extortion, also gave the as-yet unknown robbers his smartphone, from which they sent threatening messages to the pawn broker. The FBI maintains an open investigation and have thus far declined to comment on Bover, who could get a sentence reduction down the road for his cooperation.